We are all very excited about it of course, and so with that in mind I've been browsing around at the various super cute products on the market this year to help us celebrate in style! 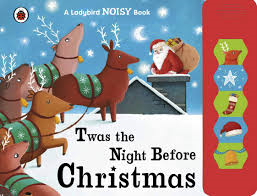 'Twas The Night Before Christmas has to be my favourite Christmas read ever, and so the sound book version is perfect for babies Tyne's age who like being read to but need that little something extra to keep them interested! 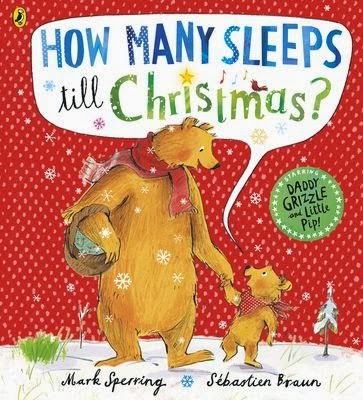 How Many Sleeps Til Christmas is a book I hadn't heard of but after reading it, it has become a firm favourite - it kept Tyne interested from start to finish and is such a cute festive read!! 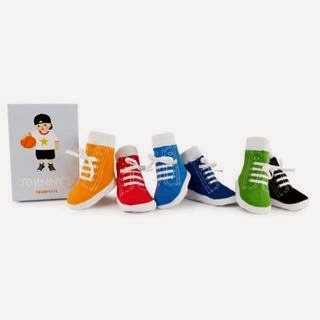 www.borngifted.co.uk has to be one of my favourite children's sites at the moment, they stock such a wide array of items it really is a one stop shop for all your kiddy Christmas needs! 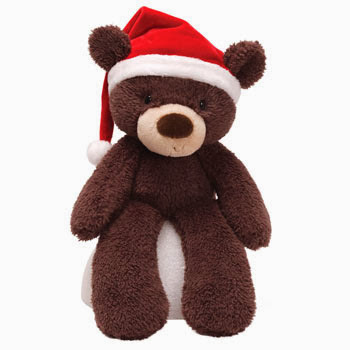 I absolutely adore this beautiful Fuzzy Christmas Bear from Gund - with a name like Gund you know you're getting the highest quality item, and this beautiful plush Christmas Bear doesn't disappoint! A perfect keepsake for years to come! RRP is £13.99 but they are currently on offer for just £6.99 - grab a bargain while they last! www.bibsandstuff.co.uk is a website I have recently discovered which specialises in all things baby - from blankets and innovative accessories, to toys and nursery items! This absolutely stunning wooden pull-along owl from Skip Hop is truly a beauty to behold....with owls being so on trend right now I was pleased to see this featured in the Skip Hop range as I've become a little obsessed with them of late! The pull along toy is made from high quality wood and non-toxic paint, and is recommended for children aged 18 months plus - I will be giving this to Tyne for Christmas but due to his age and the pull-along rope feature I won't be leaving him alone with it just incase! Pull along toys are great for encouraging toddlers to walk, and I love how this little guy flaps his wings as he's pulled along! So sweet! I have always loved the From You To Me Journals - I first discovered them about 5 years ago in a little gift shop in Totnes and just fell in love. The idea is that you buy a journal for a friend or family member, gift it to them and they fill it in and give it back to you. I bought one for one of my very best friends Derrick who lives in the United States, I sent it to him and he loved it - he sent me one to fill out for him too! We both spent the best part of a year filling them out and putting our memories into them, before swapping back again - they are truly the gift that keeps giving as you have the fun of filling them out and reliving your memories and then the fun of reading through them too! I have already given the traditional From You To Me journals as gifts to pretty much all of my relatives and close friends, so I have run out of people to give them to....I also have the Dear Son version which I am to fill in every year about Tyne until he is 18. So imagine my delight when I discovered the Christmas Present, Christmas Past journal from the same company! The idea is that you complete it each year to record your Christmas memories - you write down who was there, what gifts were exchanged, what special things you did, etc. I think this is a lovely keepsake for any family and makes a wonderful gift for anybody, but I do think Babies First Christmas is a wonderful time to start the journal as it will enable me to record memories of each and every one of Tyne's Christmases from the very first one! Won't that be a lovely keepsake for him when he's grown up to relive all his childhood Christmases?! 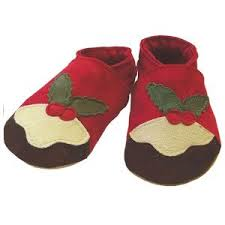 These super cute Christmas Pudding shoes are the perfect companion to any little Christmas outfit, whether boy or girl! The soft suede is comfortable and easy to get on (we all know what a nightmare babies can be with shoes! 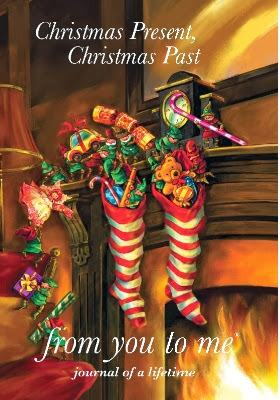 ), and they just look sooooo festive and adorable!!! Cwtch is the Welsh word for Love or Cuddle - so when Inch Blue designed their new range of luxury sheepskin booties, Cwtch seemed to be the perfect way to describe them. Each pair is made from the softest sheepskin, hand stitched and presented in a beautiful gift box. 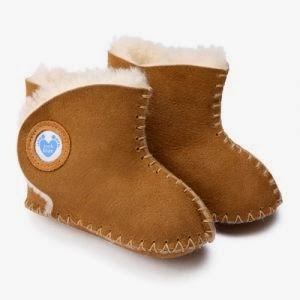 These are just beautiful and the perfect way to keep little toes snug and warm this winter! Socks are the one accessory that it's easy to forget about, but Trumpette sock sets will keep baby looking smart throughout the season and also make a lovely gift as they come in lovely gift boxes! They are very high quality - made from 100% cotton with a little spandex to help keep them on, and all have a non-skid bottom! There are lots of gorgeous designs to choose from including days of the week socks, camo socks and ballerina socks! I hope this ideas have been helpful! What will you be picking up for Babies First Christmas?! As always, I'd love to hear from you! Fab ideas, I need to start shopping!! Sure if you have a baby in your home and it is a first Christmas for him means you have to do some attractive thing for your baby. I hope this post have done this.